In 1987, Michael J. Fox was arguably the brightest star in Hollywood. Family Ties was the 2nd highest rated TV show and his movies were drawing millions at the box office. At one point, he was working an unbelievable schedule, shooting Family Ties during the day and the Back To The Future movies at night. However, his work commitments never overshadowed his humble acting beginnings in Vancouver, Canada. "Pacific Report" went inside the life of Michael J. 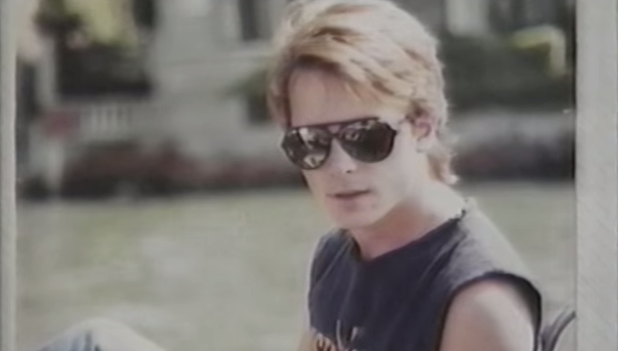 Fox in 1987, conducting interviews with the star as well as his friends and family in Los Angeles and Vancouver. Also included in the report is exclusive footage of his early acting days along with TV appearances and behind the scenes footage on set and at his home. The report is very well done and a fun look into one of the '80s best-known celebrities.